Whatever it is, we’ve got a bag for it! We specialize in selling affordable, quality bags, bulk totes, stretch wrap, and other packaging supplies. Our bags and totes are especially suited for agricultural products, such as seed, animal feed, grains, and flour. We also supply producers of industrial and gardening products, such as minerals, sand, chemicals, fertilizer, and soil. Whether you sell wholesale by the ton, or are packing products for eventual retail sale, we can help you get the supplies you need to pack your products securely and efficiently. Our products: What are you looking for? Tough, durable, strong and breathable. Super tough, weather resistant, great for printing. Tried and true, and great for printing your brand. For fast, secure pallet wrapping. Questions? Need a quote? Special request? Our friendly, knowledgable sales staff is ready to help you get exactly what you need. Take a look around the site. And if you are not sure what you need, call us and tell us about your situation. We can help you figure the best solution for your needs. We have many sizes and styles of bags in stock, including preprinted turnkey designs. 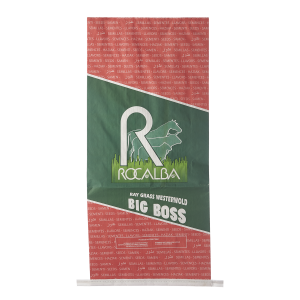 We also offer most of our polywoven, paper, polyethylene, BOPP and bulk bags custom printed with your logo, brand or other graphics. And we are happy to place special orders for custom sizes. Smith Packaging got its start start serving grass seed growers and other agricultural producers here in Oregon’s Willamette Valley. Over the years, we’ve earned excellent buying power, which helps us provide producers in agriculture and other industries with quality packaging at affordable prices.